The majority of chip shop samples (usually sold under generic names like huss, rock salmon and rock eel) were spiny dogfish—a species "endangered" in Europe and "vulnerable" worldwide. 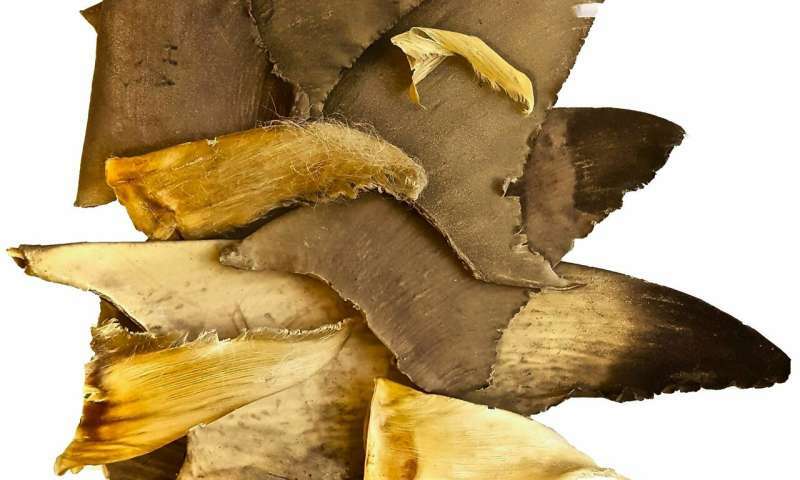 The fin samples included scalloped hammerheads—endangered" globally and subject to international trade restrictions. 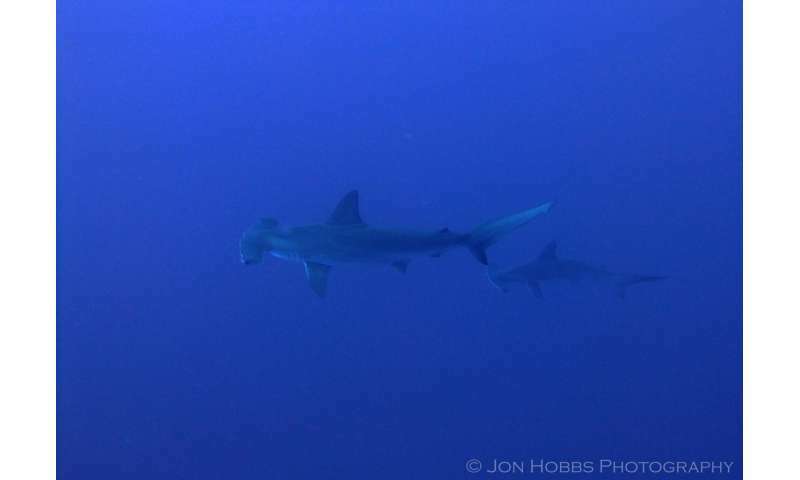 "Separate investigations focusing on Asia have commonly identified scalloped hammerhead in fin processing. 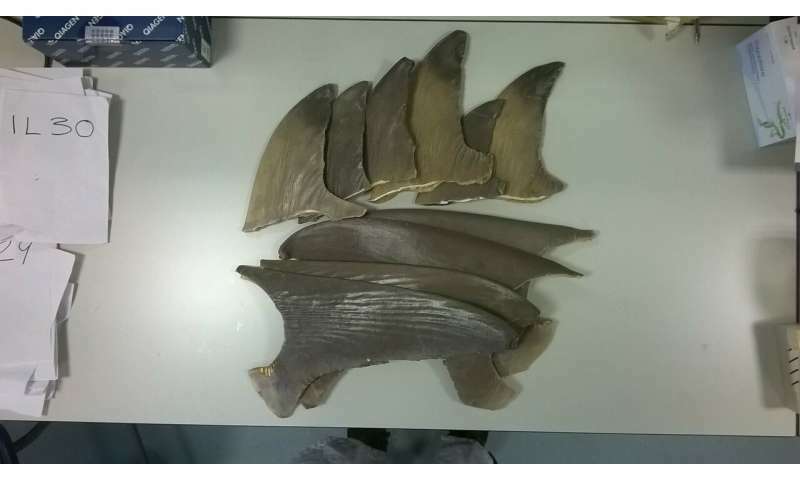 "Scalloped hammerhead can be imported under strict conditions, but the wholesaler had no idea what species the fin belonged to." Fishing for spiny dogfish has been prohibited in most circumstances under EU rules. The spiny dogfish found in many chip shop samples could have been sourced from more sustainable stocks elsewhere, but it highlights the problems of selling shark meat under "umbrella" terms that cover multiple species. "It's almost impossible for consumers to know what they are buying," said first author Catherine Hobbs, also of the University of Exeter. "People might think they're getting a sustainably sourced product when they're actually buying a threatened species. "There are also health issues. Knowing what species you are buying could be important in terms of allergies, toxins, mercury content and the growing concern over microplastics in the marine food chain. "Our findings demonstrate the need for more informative and accurate seafood labelling." Through "DNA barcoding", the study analysed 78 samples from chip shops and 39 from fishmongers, mostly in southern England, as well as 10 fins from a wholesaler. Miss Hobbs added: "Knowledge of shark species consumption in the UK, especially those of prohibited species and those of high conservation concern, enhances our ability to address the decline in shark populations." The paper, published in the journal Scientific Reports, is entitled: "Using DNA Barcoding to Investigate Patterns of Species Utilisation in UK Shark Products Reveals Threatened Species on Sale."